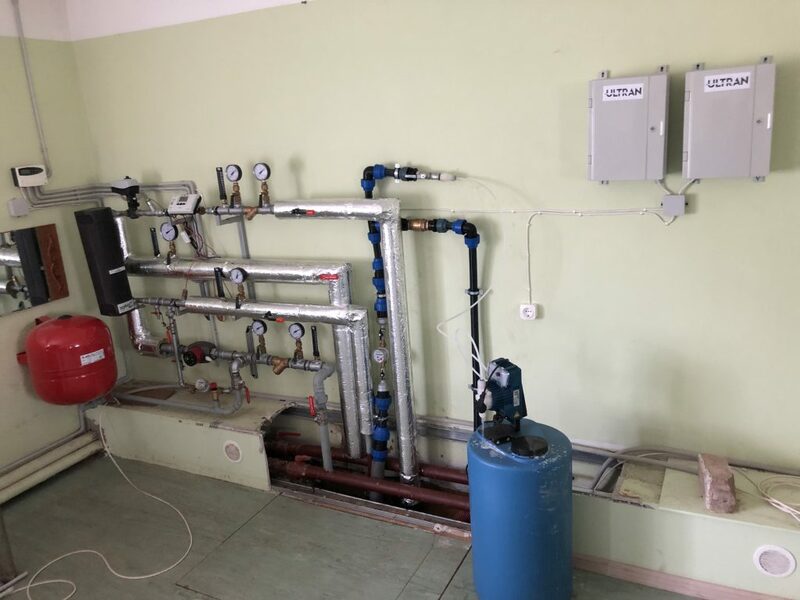 19 October 2018 was the start for 2018/2019 central heating season in Belava village, and also the first pilot trial for new, recently installed low temperature district heating (LTDH) systems. For the two insulated buildings in Belava village low temperature heating is being provided with supply and return temperatures of 55°/25°C in buildings inner heating circle. The heat is being produced with HERZ pellet central heating boiler with 199 kW peak power. 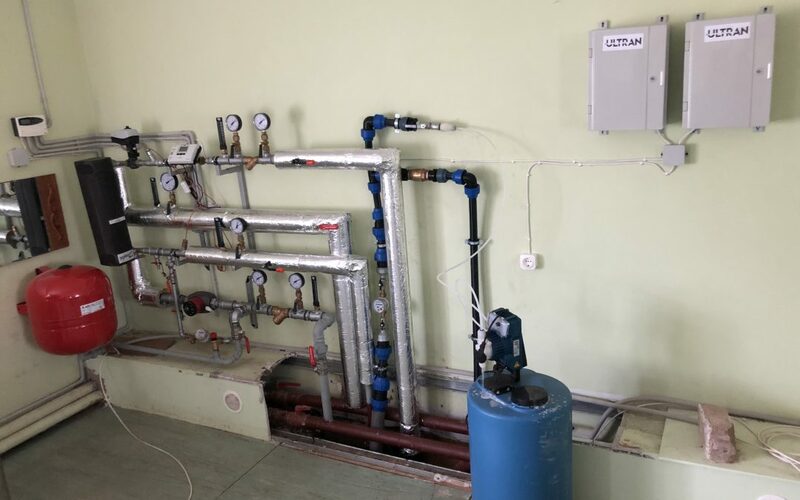 There are two outlines of the boiler – the first one is for LTDH with supply and return temperature 65°/35° C before heat exchanger, the second outline is for all other buildings with supply and return temperature 80°/60°C. The heat energy is being provided through industrially insulated steel pipes. The first challenges for LTDH appeared as the new central heating season started. After the low temperature buildings were equipped with the smart mattering system, the figures showed that for one low temperature building inner temperature was adequate, but for the other building it was necessary to increase temperature for at least 3°C. 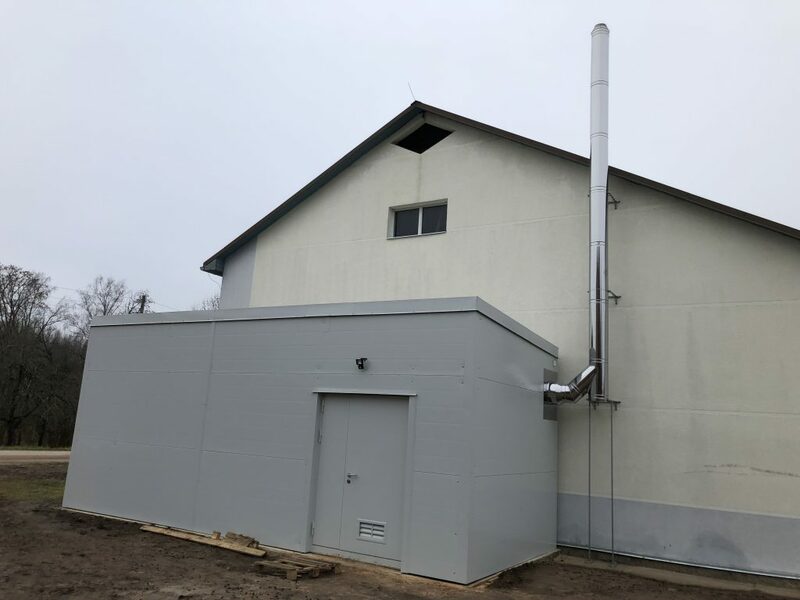 The energy manager now is testing many different heat energy controller shifts and is balancing buildings’ inner heating system in order to reach appropriate inner temperature. 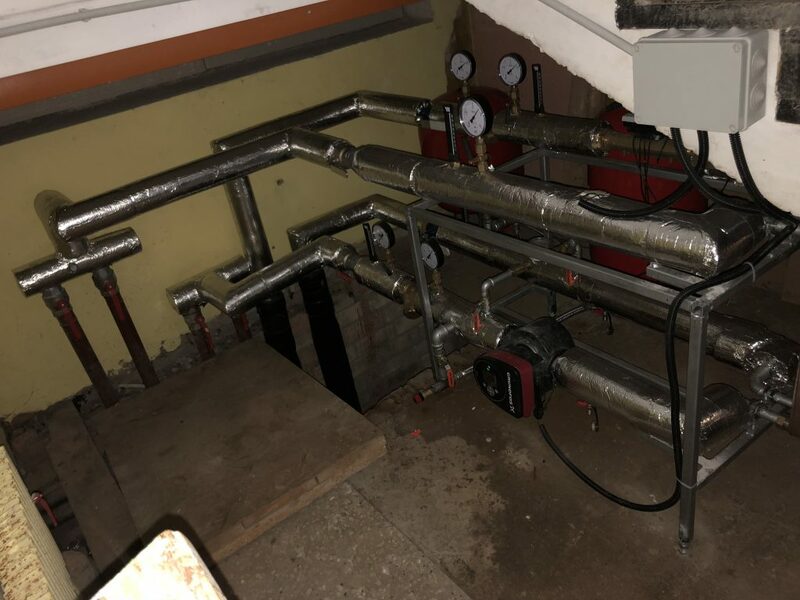 It will be possible to do some more complex system improvements only after this heating season, because it is required to stop heat supply for several days to do these tasks. The inhabitants of Gulbene Municipality and local council members have shown great interest in this LTDH pilot project in Belava. The local newspaper has published several stories of LTDH project. In cooperation with LowTEMP project partners – Riga Technical University (RTU) and Vidzeme Planning Region, Gulbene Municipality held an open seminar on “Low temperature district heating system possibilities in Latvia.” The seminar was attended by local inhabitants, institution directors of many different cities in Latvia and local council members. The seminar lectures were given by the scientists from RTU, Energy manager from Gulbene, representative of heat energy producer from Salaspils and representative of energy audit company from Riga. Lecturers talked about actual situation in heat energy production and delivery in Latvia as well as presenting European experience in LTDH implementation. The seminar ended with discussion between the lecturers and the participants.